A snowboard binding leash is a cord or strap that links your front leg to your front snowboard binding. 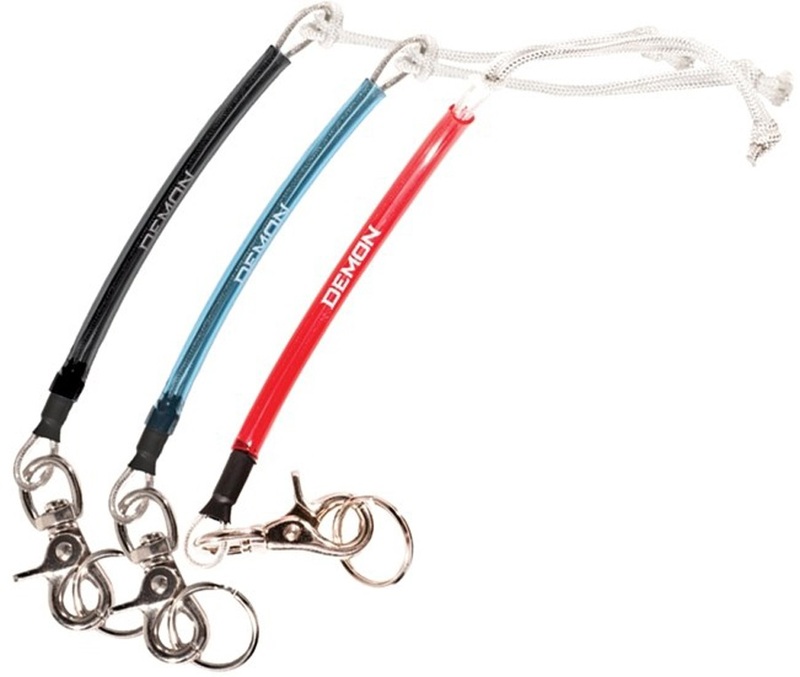 Some snowboard leashes are very small little hooks that loop around your binding and clip to a 'key ring' that you put around your boot laces. Other leashes are straps that go through your binding and then clasp together around the knee of your front leg. Many resorts require a leash before they'll let you on a chair lift. It is a liability issue for them -- they want every assurance they can get to prevent runaway skis and snowboards. The idea is that you attach your leash before getting into your binding, and remove the snowboard leash as the last step when getting out of your binding. They seem a little redundant because your binding also holds your foot to your board, but it seems to make them happy to have snowboarders wear leashes. Buy cheap in our sale. Elasticated strap leash From Burton.